On Friday 8th March, Nicola Reay and I had the fantastic opportunity of attending Low Wood Bay Hotel in Windermere for the Cumbria Family Business Awards, where Reays were shortlisted in the 'Haulage, Transport & Logistics' category. Arriving to a sparkling drinks reception we had the opportunity to mingle with other guests before taking our seats and enjoying a beautiful three course dinner. Following dinner, the moment everyone had been waited for... where shortlisted family firms waited to hear their fate across the 11 categories. Hairy Bikers Dave Myers and Si King hosted the ceremony, keeping everyone entertained throughout. Nicola and I were thrilled to see Reays win our category where we both proudly took to the stage where we were presented with our personalised ceramic plate award, specially crafted by Miles-Moore Ceramics. Speaking after the event, Nicola Reay, Finance Director said: "To be recognised and celebrated as the best family business in the 'Haulage, Transport & Logistics' industry in Cumbria is a fantastic achievement and I'm incredibly proud and thankful to all our team who have contributed to this success and to the judges who recognised Reays as a 'flagship' business for other Cumbrian businesses, it really is an honour." Winners of each category now go forward to the national Family Business of the Year Awards in June which will take place in London and we're keeping all fingers and toes crossed for that event but in the meantime, were enjoying the moment of being recognised as one of the best in Cumbria. We would like to take this opportunity to thank Flock Events & PR and The Family Business Network Ltd for organising the awards and to all the judges and sponsors involved in making the evening such a fabulous success. We're proud to be part of and recognised as a winner of such a prestigious title. On Friday 25th January, Cumbria Family Business Awards announced their finalists for the 2019 awards with Reays Coaches named as a finalist in the Transport, Haulage and Logistics category. Reays beat strong competition with a record number of businesses entering the awards from across the county. The finalists will now each meet with the specially selected panel of expert judges across two days of interviews before the judges make their final decisions. The winners will be announced at the glittering ceremony, hosted by celebrity chefs The Hairy Bikers on Friday 8th March. 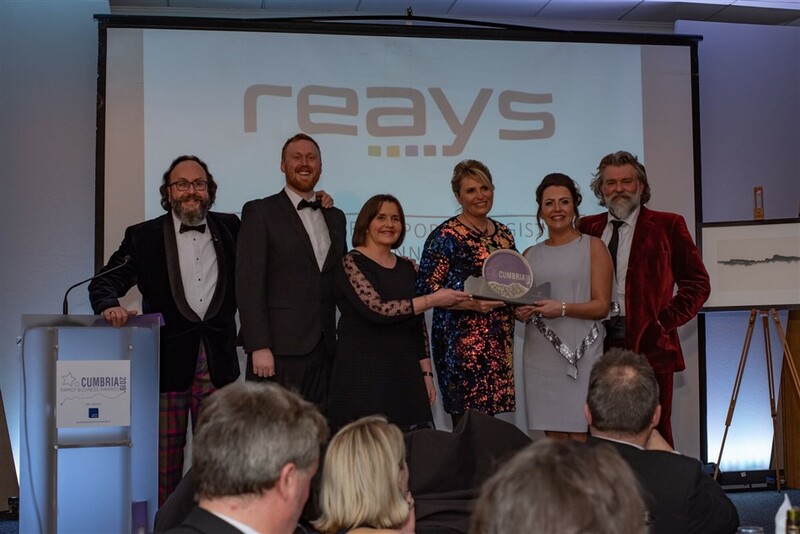 Kerrie Allison, Head of Sales & Marketing at Reays Coaches said: We are absolutely delighted that Reays has been announced as a finalist, celebrating the best of the industries we work in. Delivering world class customer service consistently in todays world of economic and political challenges isnt easy but we are surviving and thriving thanks to our fabulous fleet of vehicles, the drive and determination of our people and our customers who appreciate the Reays difference. Keep an eye on our website and social media channels to see how we get on! 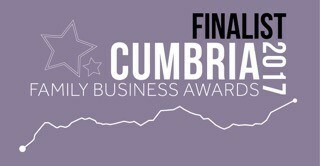 We are so pleased to confirm Reays are a FINALIST in the category of Transport and Logistics for the Cumbria Family Business Awards. An astonishing achievement especially as there were over 100 entrants, and we are one of only 35 finalists. The winners will be announced on the night at the Awards Ceremony on 9 March 2018, at the Garden at Eden. The evening is a black-tie dinner followed by the ceremony hosted by the Cumbria Hairy Bokers Dave Myers. CUMBRIA FAMILY BUSINESS AWARDS 2017 FINALISTS! 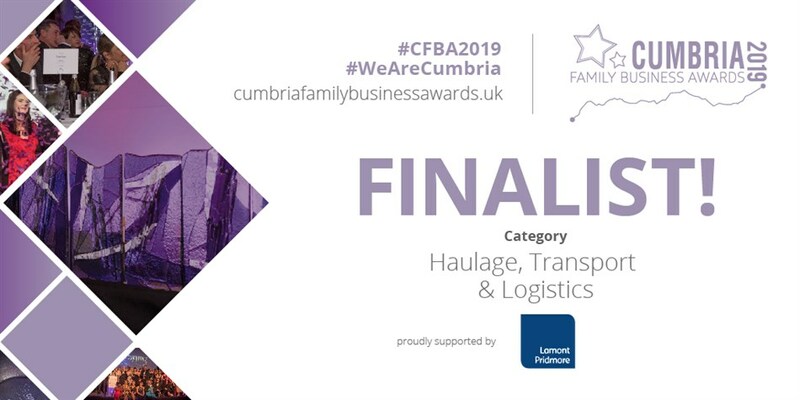 Reays are very excited to have been nominated as a finalist in the category of Transport and Logistics for the Cumbria Family Business Awards. There were over 100 entrants, and we are one of only 33 finalists! The winners will be announced at the event at Castle Green, Kendal on Friday 10th March. We will keep you posted on Facebook, Twitter, Snapchat and also our website. We would like to take this opportunity to thank all staff involved in making the company as excellent as it is!